I’m not going to lie; I giggled all the while I was making this. Toilet paper origami is a bit silly, but kind of cute too. 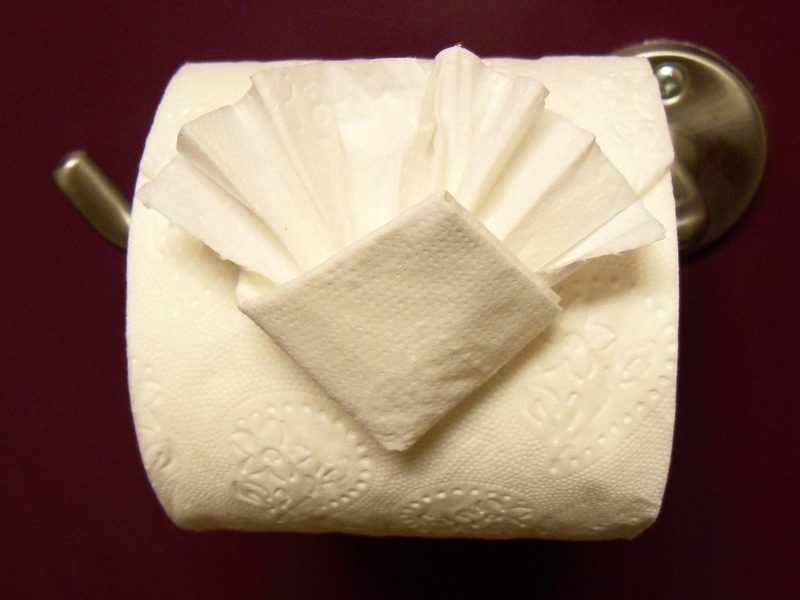 I was a chamber maid many years ago, but then the only toilet paper origami I knew about was the classic triangle. This just tickled me so. I kind of didn’t want to go to the bathroom for the rest of the day, so I wouldn’t destroy all my hard work! I got the instructions here. 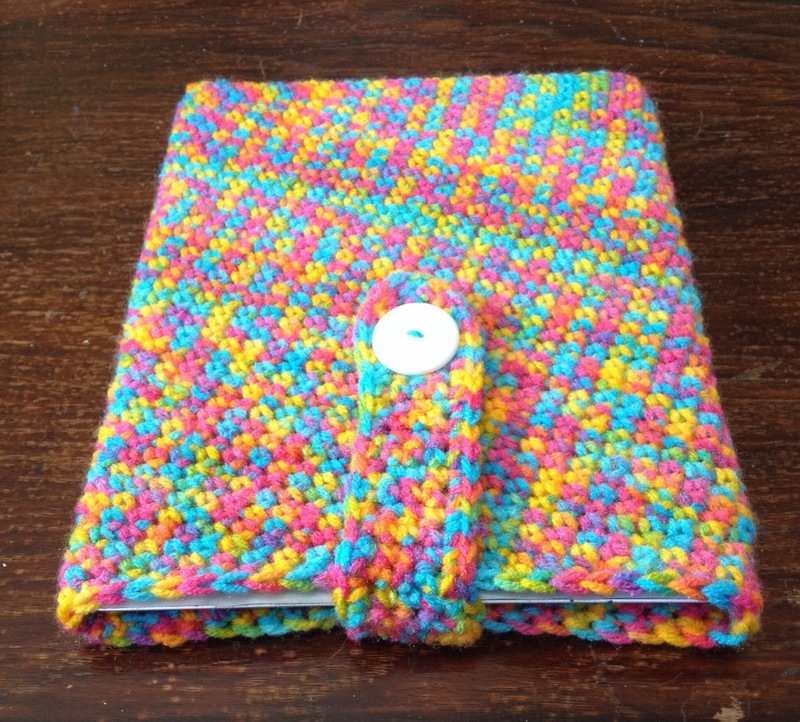 Today’s project was something I’ve been meaning to make for awhile; an iPad sleeve. I used a rainbow pastel yarn that I love, and with Artie’s help, whipped this up. I crocheted it in a couple of evenings. I used a vintage button to close. 365 Days of Creativity – Catching Up! While sick in bed, I did do some drawing during my short periods of wakefulness. 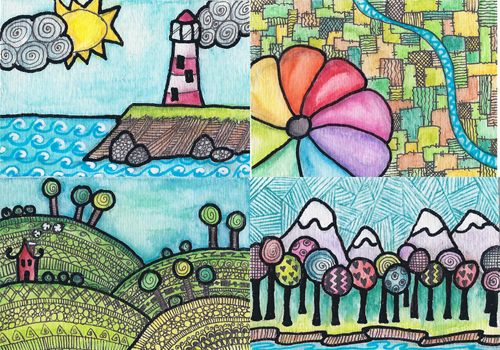 I’m feeling the ATC (Artist Trading Card) urge right now, so I wanted to get some cards done for the Whimsical Landscapes swap on atcsforall.com. Here’s my 4 cards. For my sake, we’re counting one for each day. 😛 They are 4 separate pieces of art afterall. Excuse my small pic of them combined; this is how I posted them on AFA. Hence why it’s a small pic as well.